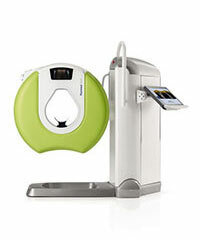 The new Planmed Verity® Extremity Scanner revolutionizes extremity CT imaging. The compact unit brings 3D imaging at emergency departments, orthopedic clinics or trauma centers for fast diagnoses at the Point-of-Care. 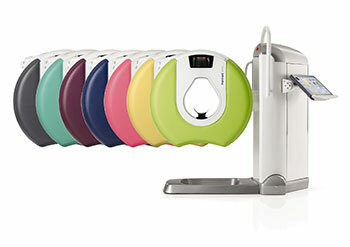 Superior image quality serves radiologists, orthopedists, and extremity specialists all alike. 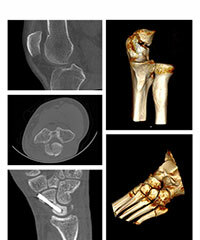 Need for dedicated orthopedic imaging The most commonly missed fractures are within the extremities. Initial diagnosis is typically based on plain 2D radiographs obtained on the day of the patient’s visit to the orthopedic clinic. Very often, however, more detailed assessment with Computed Tomography (CT) or Magnetic Resonance Imaging (MRI) is required. Unfortunately these imaging modalities may not be readily available at the time of the visit and important diagnostic information will be missed when it is most valuable for the patient’s care. Introducing Planmed Verity® Extremity Scanner Planmed Verity® utilizes CBCT (Cone Beam Computed Tomography) technology to provide high resolution volumetric (3D) images of the extremities at a particularly low dose. The unit is designed for extremity CT imaging at the Point-of-Care in emergency departments, orthopedic clinics and trauma centers. Typical users are radiologists, orthopedists, and extremity specialists such as hand surgeons and podiatrists. Less missed fractures with Planmed Verity® Overlapping structures seriously limit the visibility of the subtle fracture line in 2D radiographs. In the worst case, this leads to patient suffering for months and repeated radiographs. Not only has the healing process been delayed or completely stopped but the patient has been exposed to unnecessary radiation dose. Planmed Verity Extremity Scanner is designed to find subtle and occult fractures at the first visit to the imaging facility. The system features specialized functions and tools for extremity imaging that provide optimal imaging technique for different targets and purposes. One of the most intriguing new applications of Planmed Verity® Extremity Scanner is weight-bearing option in which the patient stands inside the gantry during image acquisition. Weight-bearing imaging of the ankle or knee shows the anatomy under natural load. With this new imaging application many of the previously unanswered questions can be addressed.